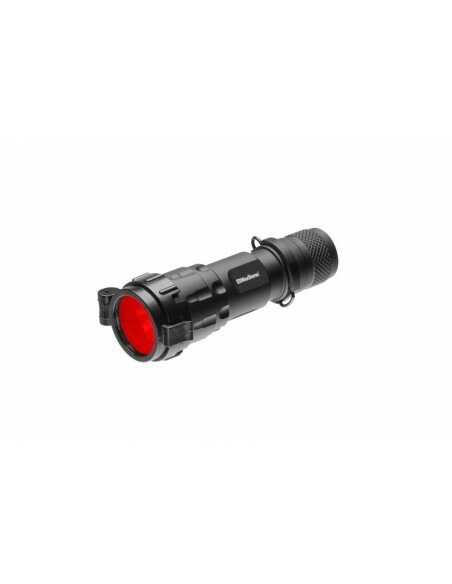 MACTRONICLIGHT M-FORCE 160 LM for weapon mounting. Small size and weight are the hallmarks of modern battle lighting. Operating time up to 90 minutes allows you to operate without having to worry about battery condition. The flashlight shines with a warm, focused, warm color. Range according to ANSi standards is 180m. 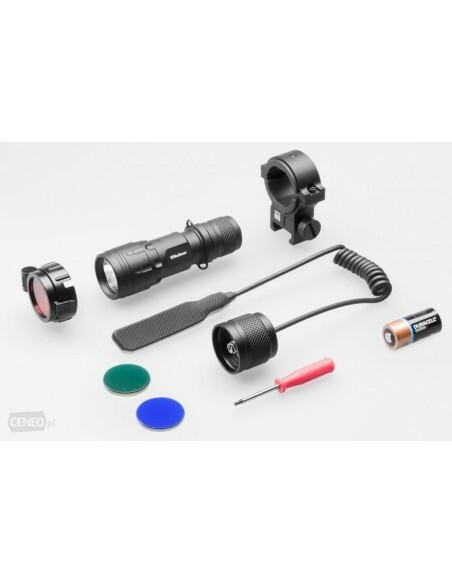 Includes 3 RGB filters (red, green and blue). Mounted on a plastic ring with the ability to tilt the filter without removing it. In addition, the flashlight has a gel switch and a mounting rail. 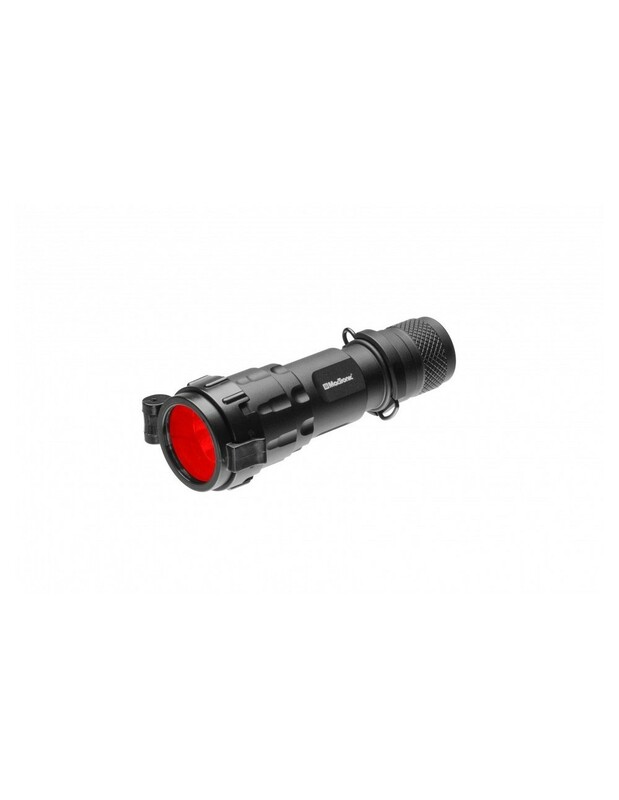 The tactical switch activates the flashlight at full power without a click.